Beautiful medium/large (8 - 9mm) dove-grey pearls with a Sterling silver 'twisted loop and toggle' clasp. 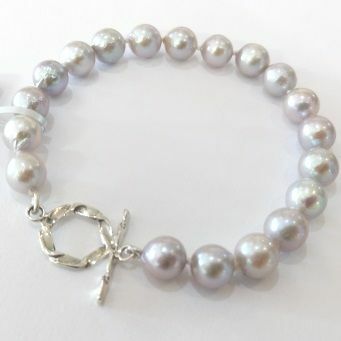 Each pearl is expertly hand-knotted in the traditional way. 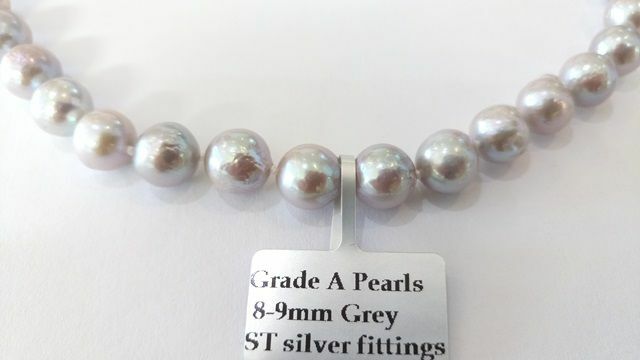 This excellent quality pearl bracelet comes in a handsome gift box or a pretty and practical silky pouch at no extra charge. Please choose from the options offered. The standard length is 7.5 inches - but if you'd like a different length, please let us know.